It seems simple to remove a door from the doorjamb—you pull the pin and lift the door off its hinges. 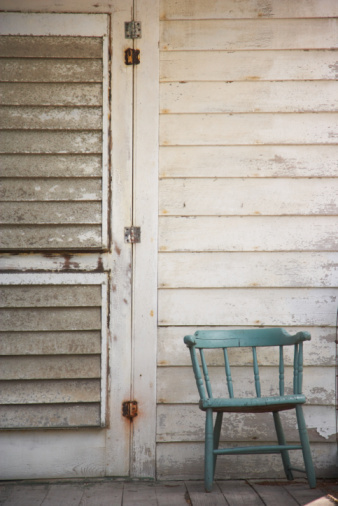 The challenge comes when homeowners have painted over the door hinge, leaving layers of paint accumulating over the pin, or when rust builds up around the steel pin, locking it in place. Of course, you can remove the hinge by unscrewing it from the doorjamb and the door, and maybe that is what you have to do to get the hinge pin released in the first place. Start with the simplest solutions to remove the pin and go to the next step if you cannot get the pin out. 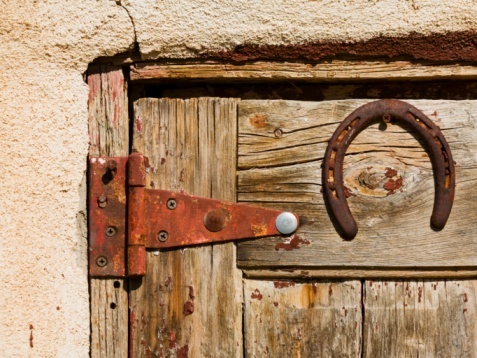 Rusted and painted door hinges need care to loosen the pin. Cut away any paint from the top of the hinge pin using a sharp utility knife. Carefully slide the blade through the paint in the thin space between the top of the pin and the top of the hinge plate. Set the knife aside. Hold a screwdriver at the base of the hinge pin and tap it with a hammer to pry the pin head from the hinge. Spray a silicone lubricating spray over the moving parts of the hinge as well as into the top part of the hinge around the pin. Wait for 10 to 15 minutes for the spray to penetrate the hinge. Close the door to take some of the weight off the hinge. Tap the bottom of the hinge pin with a hammer and screwdriver to pop up the pin. If the pin still won't budge, remove the hinge from the door by unscrewing both hinge plates from the door and the doorjamb. Fill a stainless steel saucepan with two or three cups of water and enough baking powder to cover the bottom of the pan. Bring the heat up to a low simmer. Immerse the entire hinge under the water without stirring up the baking soda. Cook the hinge for 15 minutes or until you can see the paint peeling off the metal. Lift the hinge from the hot water with a pair of tongs. Remove any loose paint with a clean rag and dry the hinge. Let it cool so you can handle it safely. Tap the hinge pin out of the hinge using the screwdriver placed at the base of the pin and tapping it with a hammer. Spray the moving parts with a silicone lubricant and screw it back in place. Slide the hinge pin back in place and close the door.